Within the last two years, Schaltbau Group has significantly extended its offer for rolling stock. The portfolio now includes integrated driver desks (SPII), sanitary systems (Schaltbau Alte), interiors (Schaltbau RAWAG) as well as information and communication systems (Schaltbau Sepsa). In order to face the challenges of the increasing speed of technological developments in the 21st century Schaltbau Bode has introduced an innovative digital strategy to improve both safety and passenger comfort with their own Boarding Management Unit. IntelliDesk is a concept that has been introduced by SPII S.p.A, a subsidiary of Schaltbau GmbH, located at Saronno, Italy. It is a standardized modular design concept for complete driver desks, scalable to customer requirements. All electrics the console is equipped with, such as master controller, pushbuttons and displays communicate through fieldbus. This reduces the wiring effort during installation and maintenance to a great extent and, at the same time, facilitates the implementation of a variety of cost-saving smart maintenance functions. Schaltbau has complemented its proven C195 Series universal contactors by a bidirectional variant, the C195X. It even comes with a higher amperage of 320 A, but generally shares the same compact design characteristics. 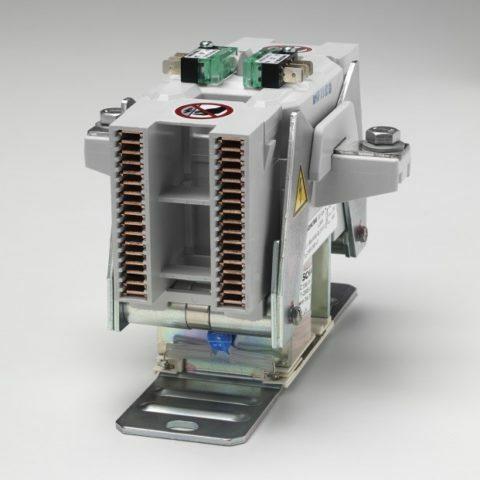 This makes it ideally suited as line contactor in mainline AC and DC rail networks – or in combination with a pre-charging contactor for a host of applications in trains, multiple units, rail cars and light rail vehicles, such as battery storage and backup and recuperation of energy. Schaltbau Connections is a new product range of Schaltbau offering cable harnesses and pre-assembled connectors for all kinds of railway vehicles, with the focus on connectors to UIC standards. The range includes pre-assembled sets of high-quality standard and hybrid cables of various designs, sizes and cable lengths – in plug and play technology. The pre-assembled sets are easy to handle during installation, maintenance and repair. They are also easy to replace, and there is no need of individual wiring and testing any longer. This saves the customer a lot of time and money. The newest toilet modules by Schaltbau Alte fulfil all the recent standards according to TSI 2014, the EuroSpec specifications, the KTW Guideline as well as fire safety standards according to EN-45545. 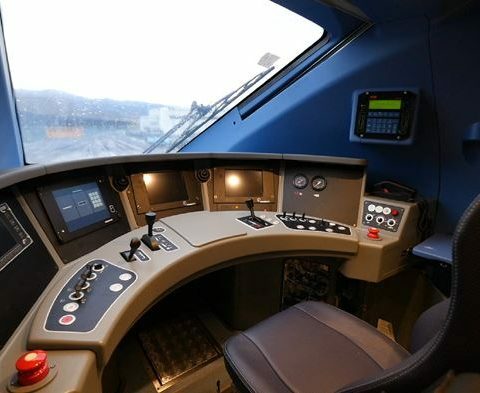 The module exhibited was designed for the CAF NS Sprinter – a regional train built for the dutch operator Nederlandse Spoorwegen. It is equipped with the new Alte Modular Controller (AMC 2015) and features a grey water system suitable for bioreactors. Schaltbau Pintsch Group presents its newest innovations in signalling technology, track field and tunnel lighting as well as diagnosis and visualization systems for point heating systems. You will find us in hall 6.2 210. For the first time Schaltbau Pintsch Bamag delivers 75 staff crossings (SX) to a customer. SX are railway crossing systems solely used by railway staff members. A SX consists of a signal lamp with high-power LEDs in a 360° beacon on the top of a pole. The activation and deactivation incl. the power supply is ensured by an interlocking. A module in a small cabinet on the SX-pole controls and monitors the high-power LEDs. In case of a LED failure the signal lamp will be switched off with a failure indication. A luminosity reduction for a day/night switchover can be configured. At this year’s Innotrans Show Schaltbau Pintsch Tiefenbach introduces several new products with innovative approaches for the automation of rail transport. One highlight is the new wheel sensor DSS250 being electronically self-adjusting which makes a mechanical adjustment by hand unnecessary. This saves time and increases safety as the adjustment is recorded in the new electronic adjustment device. Recording data can be readout using an app on a smartphone or tablet. The new axle counting system TMC-AZ 2.0 by Schaltbau Pintsch Tiefenbach can be combined with all types of wheel sensors of the manufacturer. 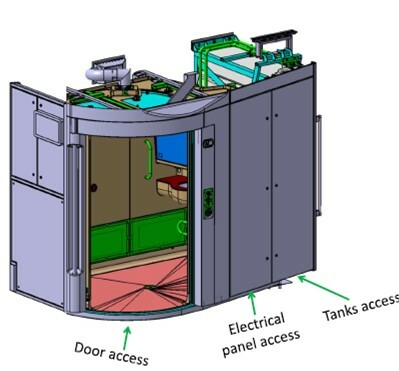 It’s evaluation unit only needs a third of the space of indoor cubicles or outdoor housings compared with the systems having been offered by the manufacturer to date. The system moreover is networked with state-of-the-art data bus systems and therefore beside the usual relay interfaces it offers various serial data interfaces for the vacancy detection of long block sections and for the integration in different signalling systems. 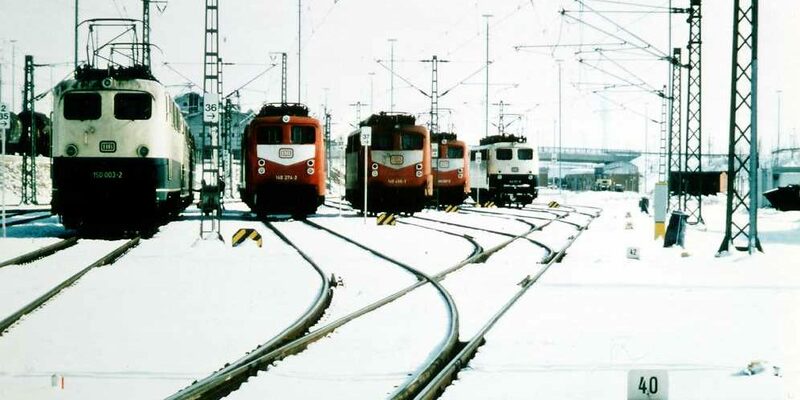 The shunting signal TLs02 is applied in interlocking systems of Schaltbau Pintsch Tiefenbach. The light signal comes with signal lamps in state-of-the-art and energy saving high power LED technology. Signal lamps can selectively show two signal colours whereby the number of lamps on the signal screen can be reduced. The light signal is the result of a successful cooperation with Schaltbau Pintsch Bamag who developed the LED signal lamps. Schaltbau Pintsch Tiefenbach designed the housing of the signal head and the associated electronics module providing the fail-safe control of the LEDs as well as a serial data interface to the interlocking system. Schaltbau Pintsch Aben presents a new LED version of its tunnel safety lighting. The demand-oriented lighting system for standby conditions supports the rescue and self-rescue of travelers in case of accidents within railway tunnels. 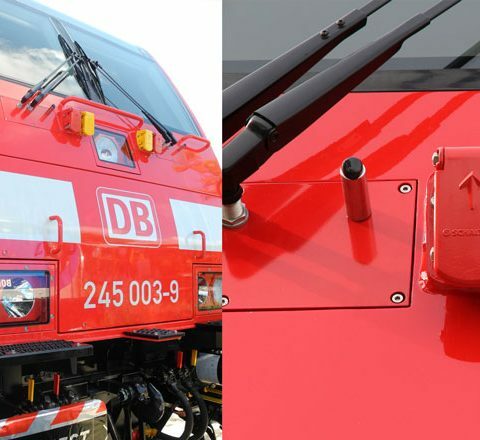 Developed in accordance with the regulations of Deutsche Bahn AG the system is subject to a very high safety standard. The intelligent low-voltage distribution I-NSV GFB automatically controls and monitors railway station and track field lightings. Depending on the area of operation the lighting control system is available as an external cabinet with a base, as an internal box for wall mounting or as a standing cabinet for installation in control rooms with elevated intermediate floors. Automatic operation is realized with the Schaltbau Pintsch Aben Micro Control Unit – MCU GFB. Interval timing is effected in accordance with a twilight switch. Manual intervention is always possible and switches the automatic operation off until the next day or night change. Optionally, the system provides a computer-based control station for centralized distributor regulation via an individually adaptable lighting up calendar with radio clock. Schaltbau Pintsch Aben presents the third generation of its transregional diagnosis and visualization system PA LINE WEB. 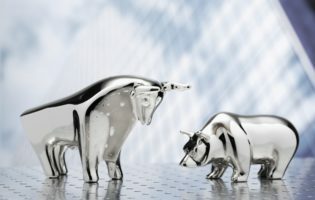 The new system also incorporates improvements suggested by our clients. For example, the integration of surveillance systems and the visualization of live and recorded images at the same time. A major improvement was made in the data analysis capacity. Data can be condensed to analyse and graph large volumes in a shorter time. Points heating systems can be compared with respect to energy consumption, availability and frequently occurring disturbances. The intelligent visualization terminal IVT is a control and operating device for point heating systems which complements the control units MCU and PCU. All relevant data is easily accessible via an 8″ touch screen. IVT is optimized for front installation in control cabinets and designed for ambient temperatures of -20 to 55°C. A large number of interfaces allow for connection to other devices of the PA LINE MCU family. This includes Ethernet, CAN BUS, R232 as well as digital inputs and outputs.